Redmond, WA – The Puget Sound Regional Council (PSRC) is conducting a regional travel study to better understand the transportation needs and preferences of the region's residents. Between March 2017 and June 2017, Redmond residents will receive invitations to participate in this important transportation study led by PSRC. Demand for travel in the Puget Sound region is expected to increase by 25% between now and the year 2040. 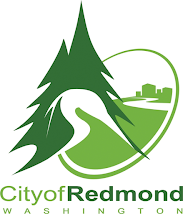 Redmond’s participation in the study can help answer questions about how the city and the region can maintain and improve mobility, accessibility, and connectivity for residents as the population grows and travel patterns evolve. The information collected will be vital for planning and prioritizing improvements for the Puget Sound region’s transportation system. For more information on the PSRC Travel Study go to https://survey.psrc.org or contact Lisa Maher, Communications & Marketing Manager, at lmaher@redmond.gov or 425-556-2427.